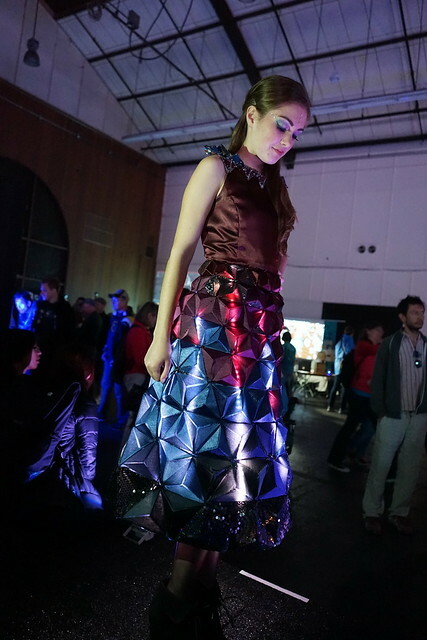 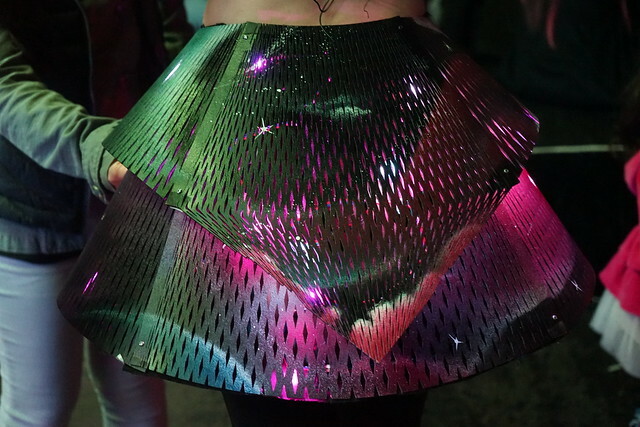 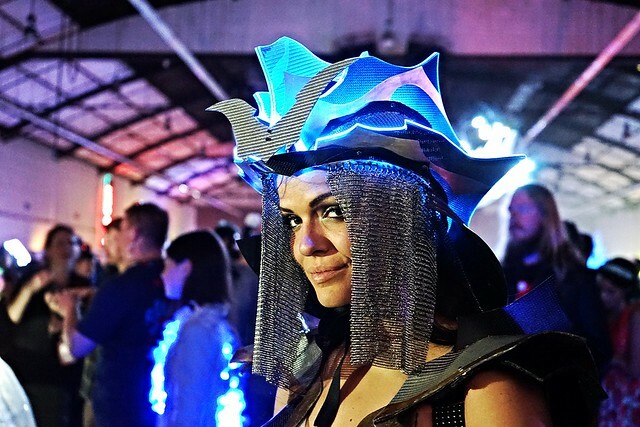 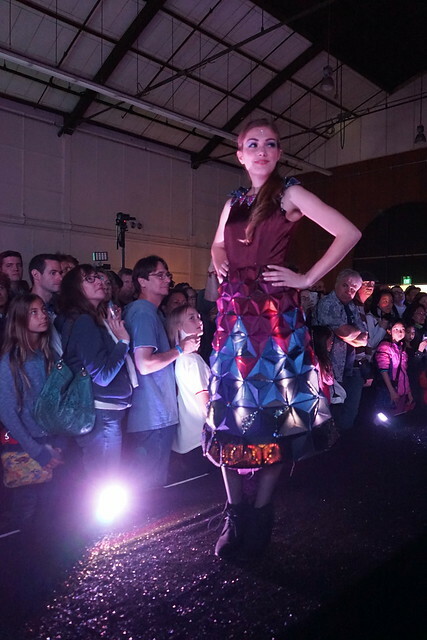 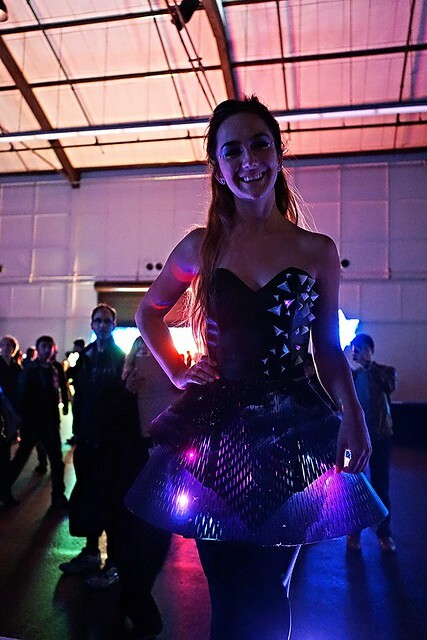 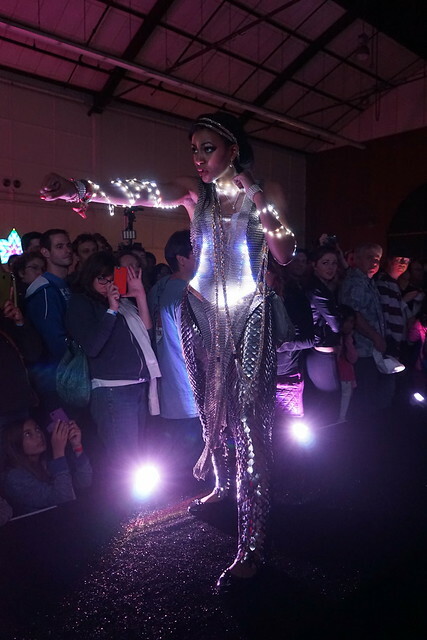 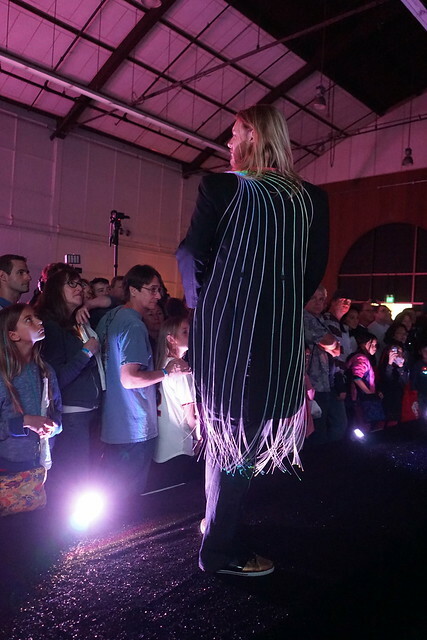 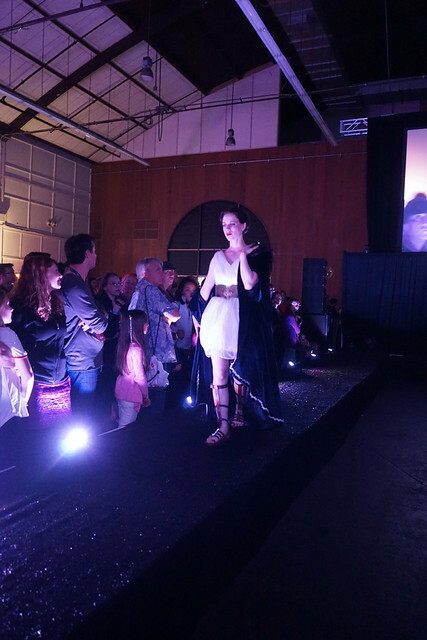 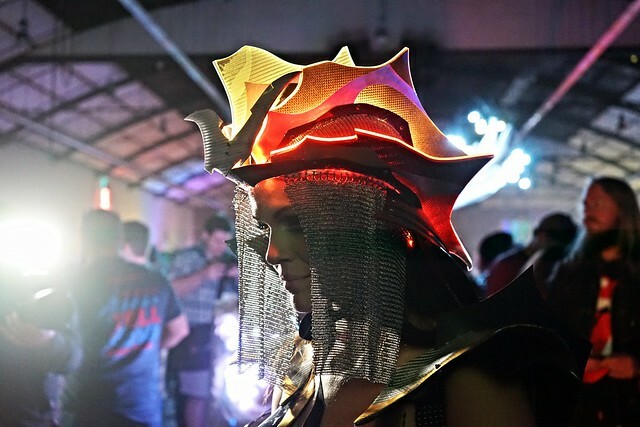 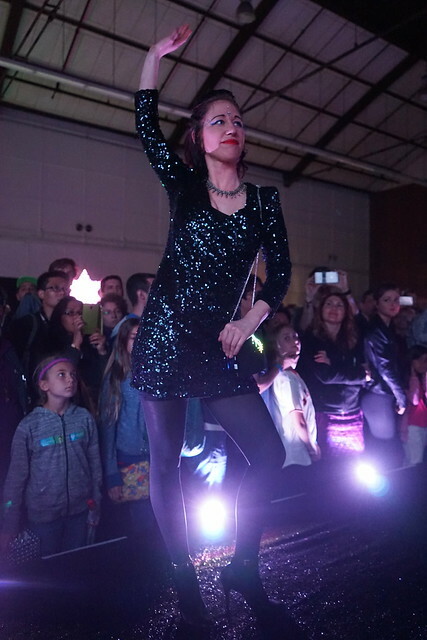 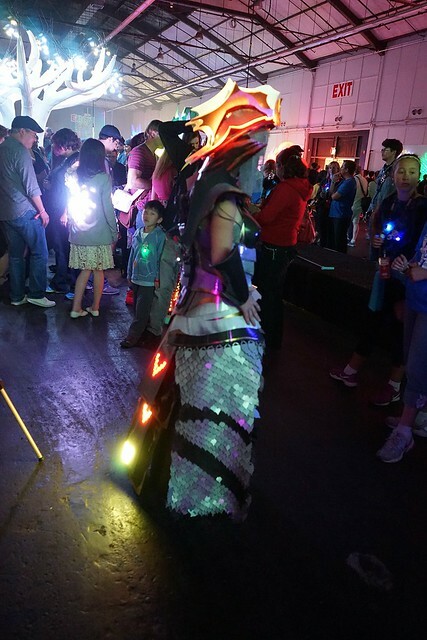 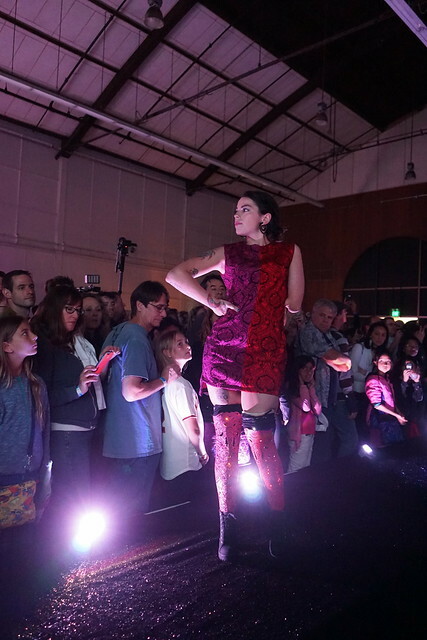 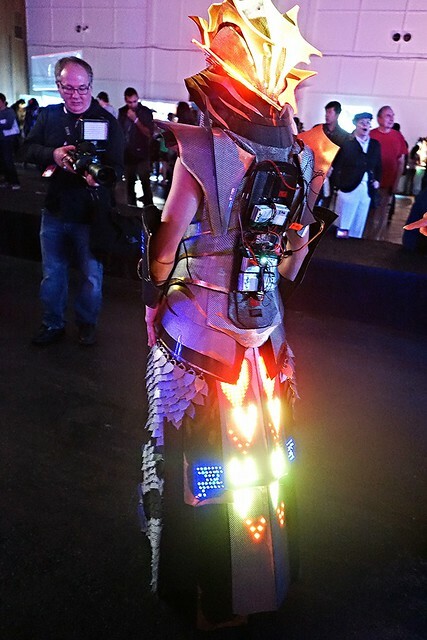 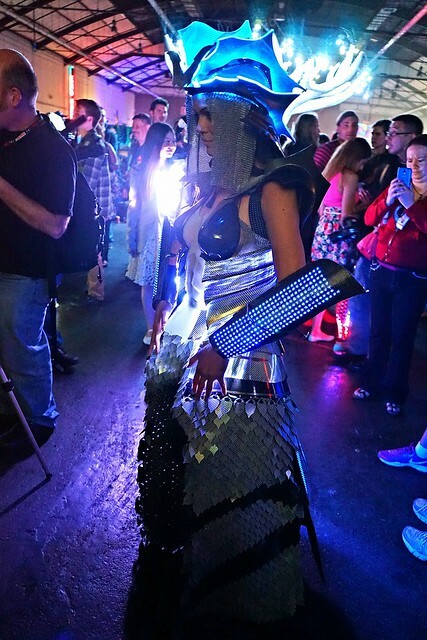 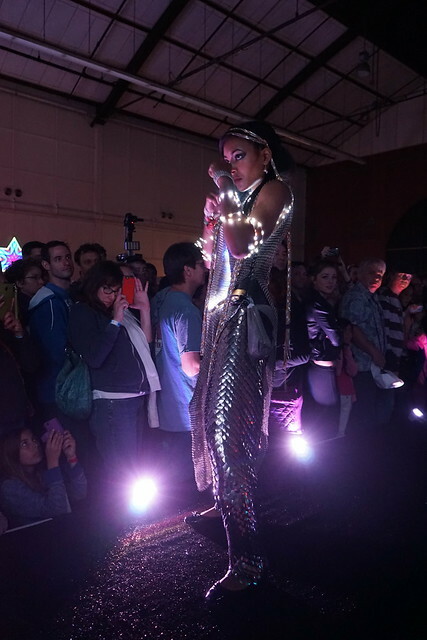 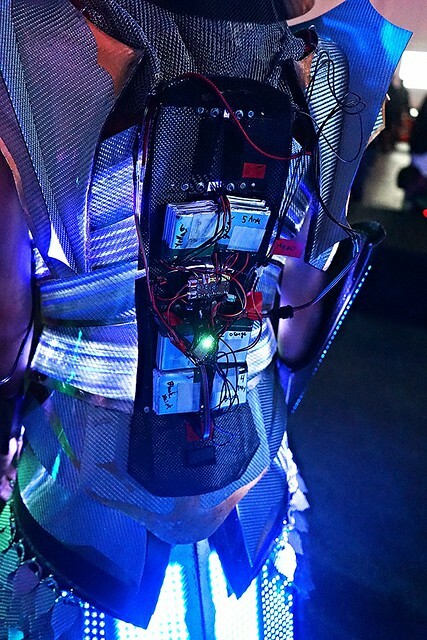 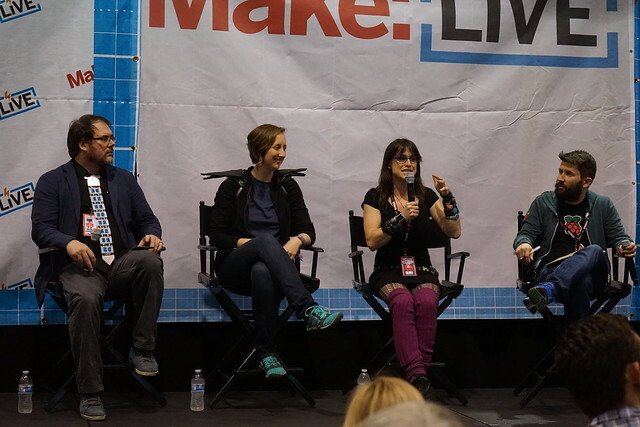 "Wearables" was one of the popular things at Maker Faire this year. 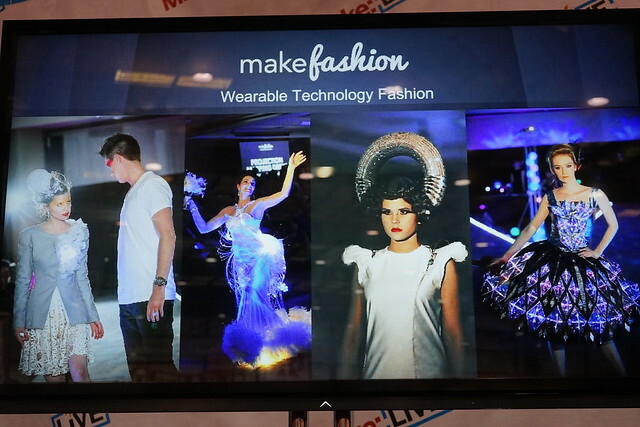 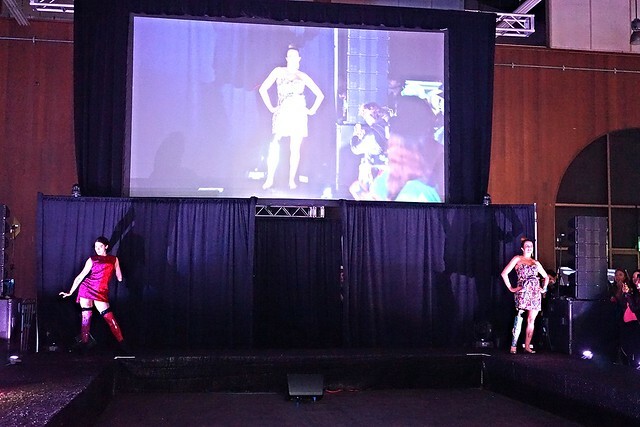 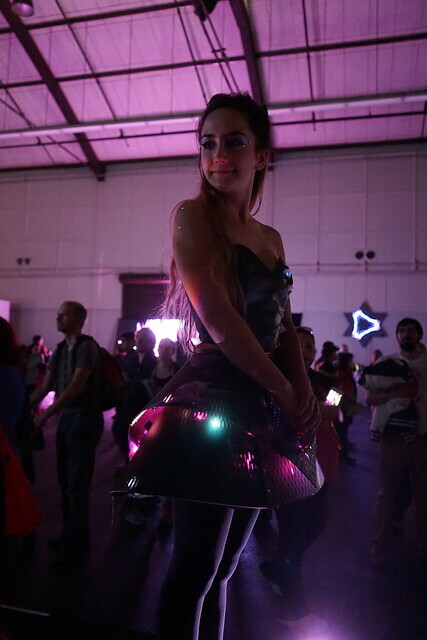 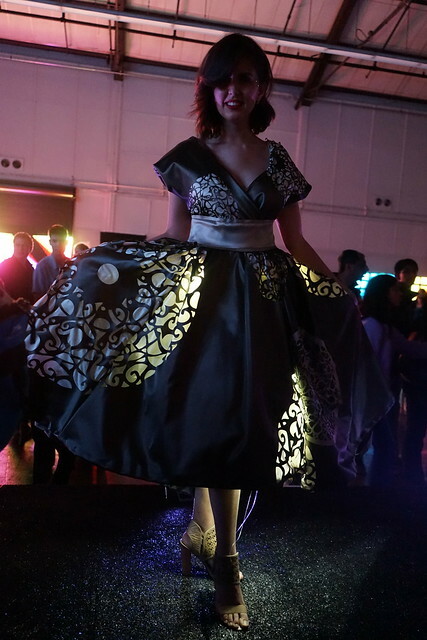 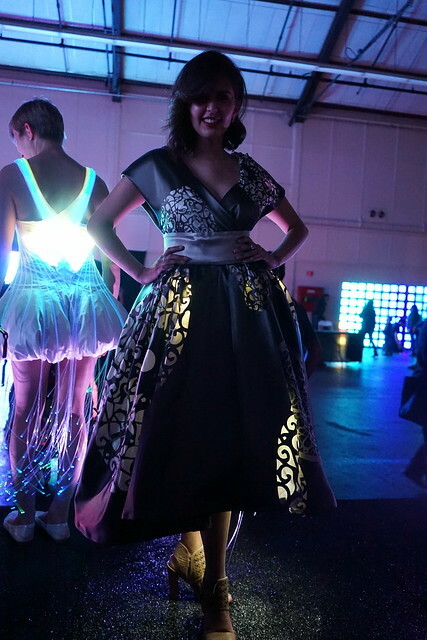 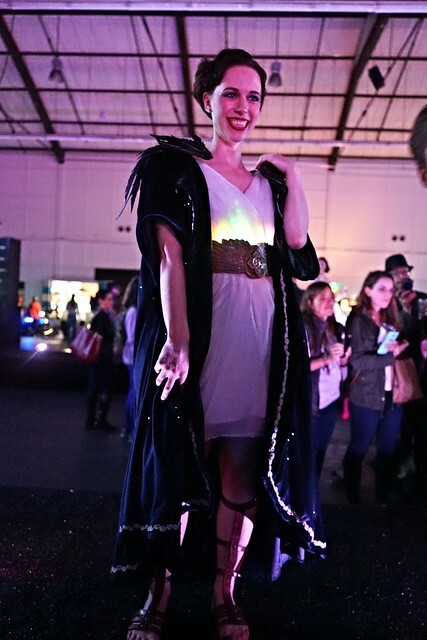 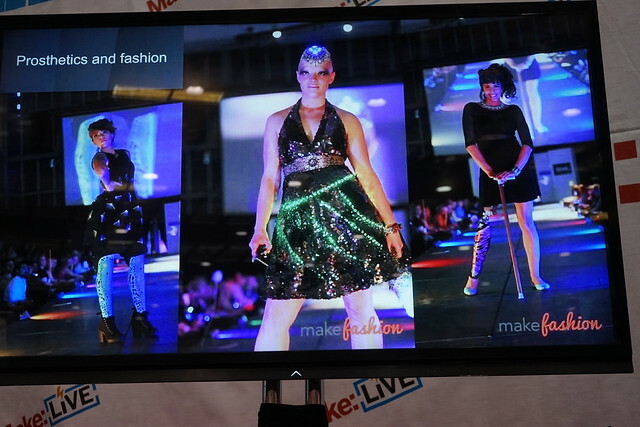 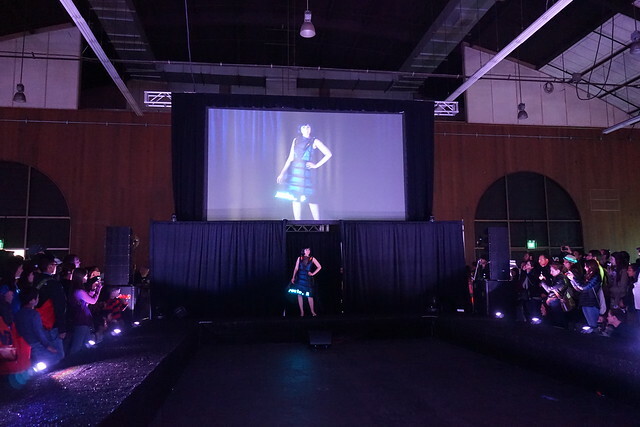 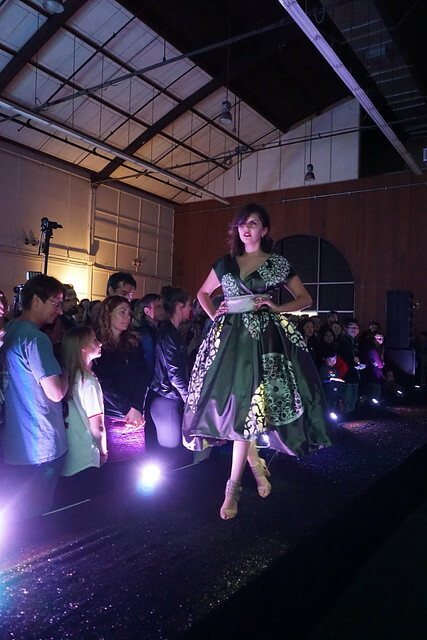 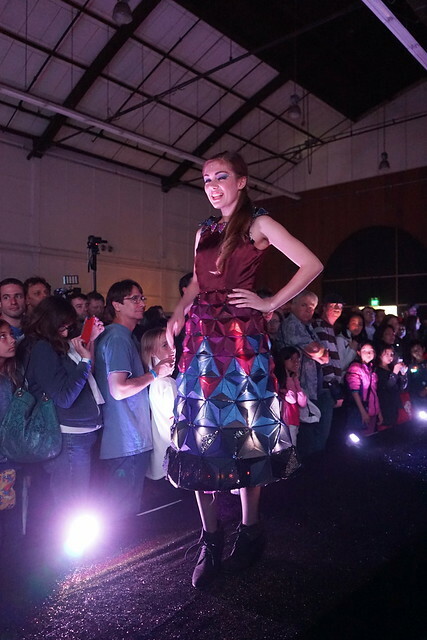 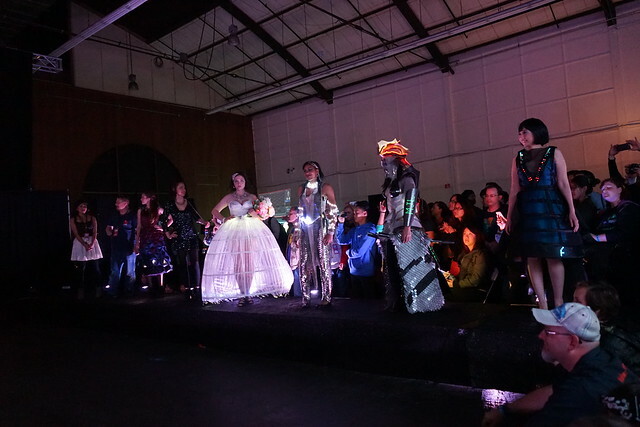 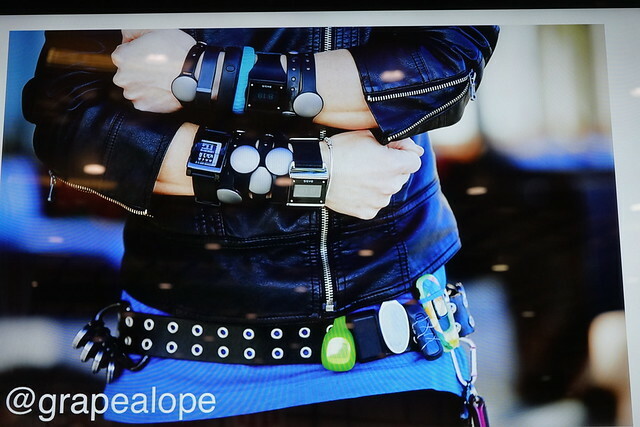 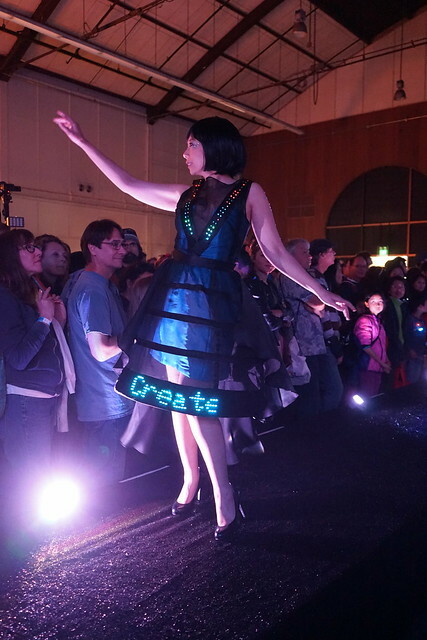 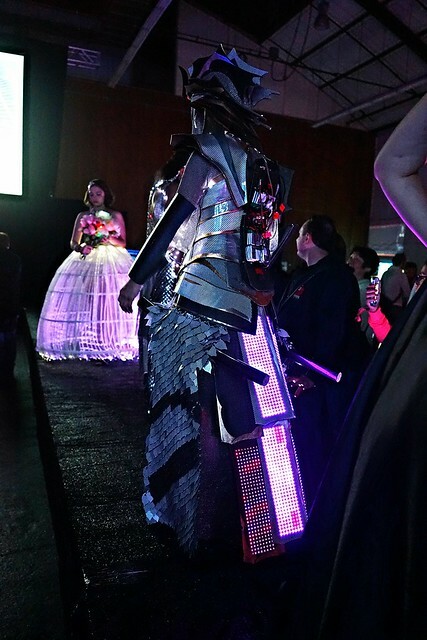 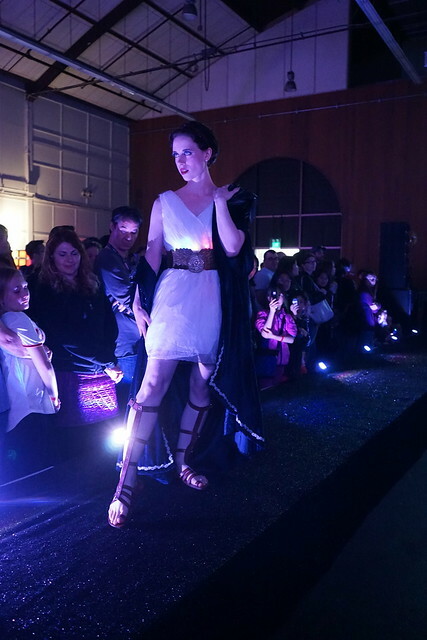 There was the session, lots of people wearing "wearables" and then there was the Wearable Fashion Show. 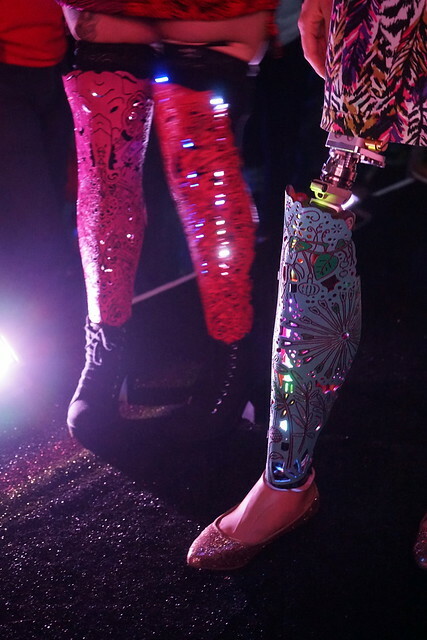 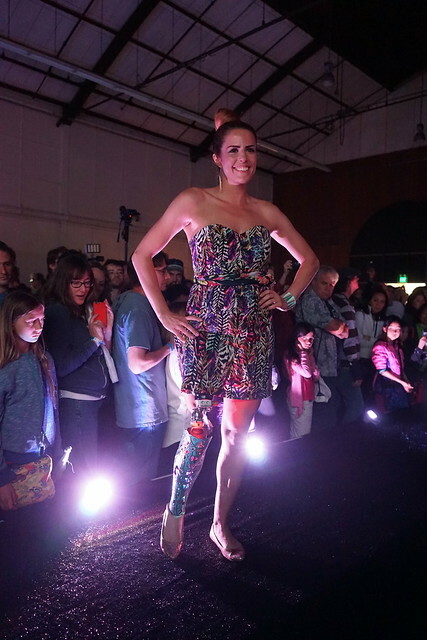 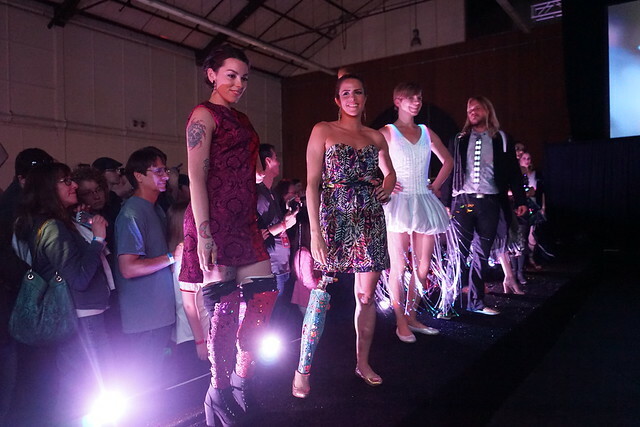 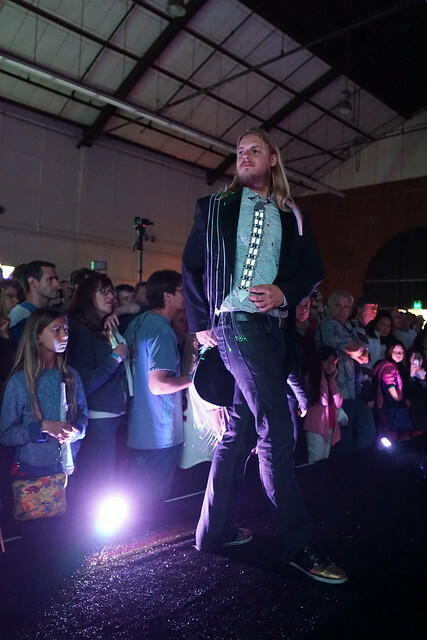 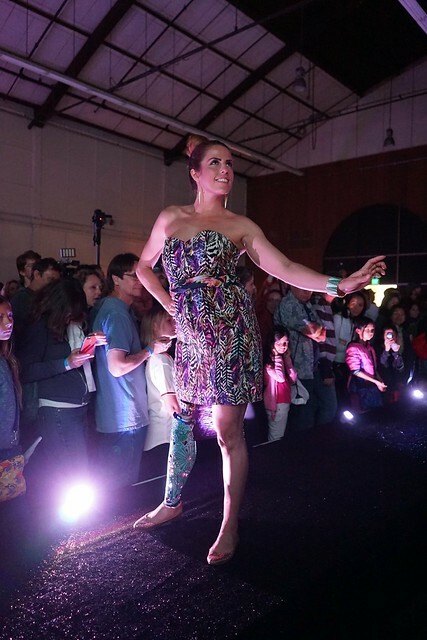 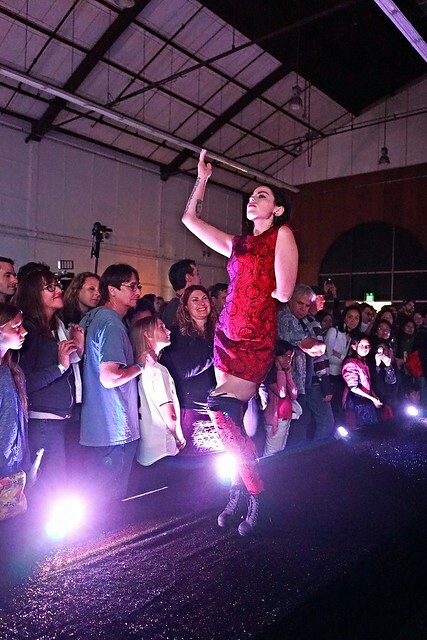 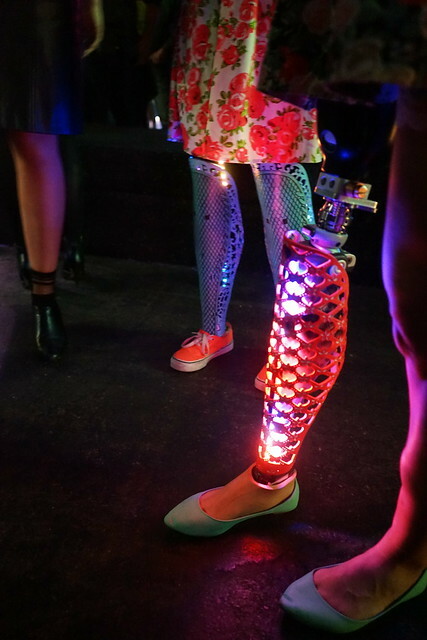 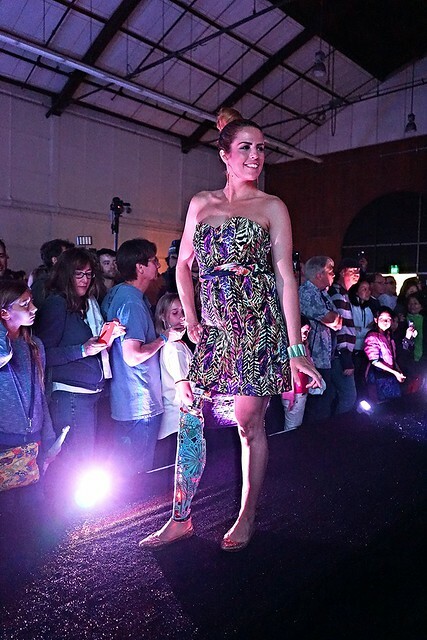 I think the moment the show gained the MOST momentum was when the models with prosthetic leg came to show their art. 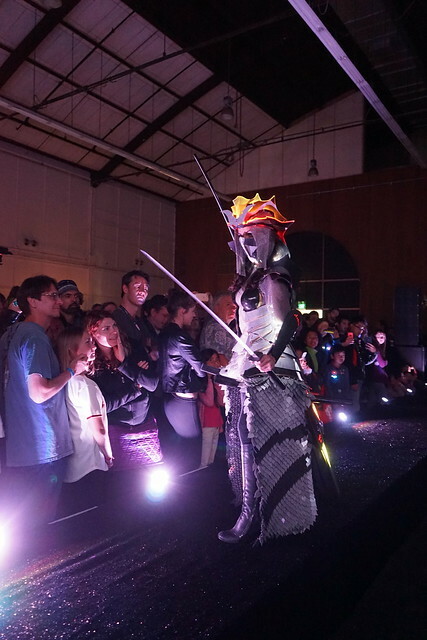 The following 2 costumes were modeled off of ancient Japanese female warriors. 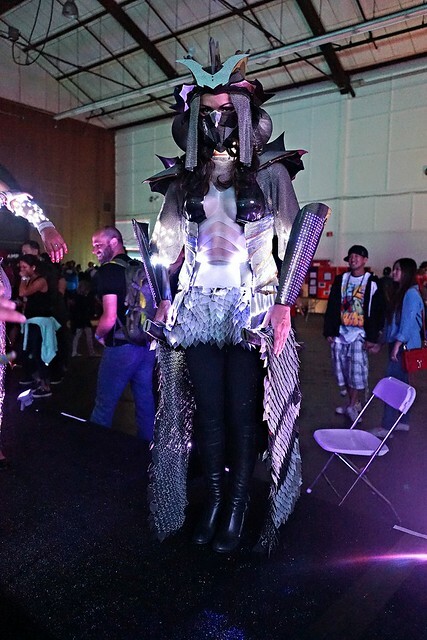 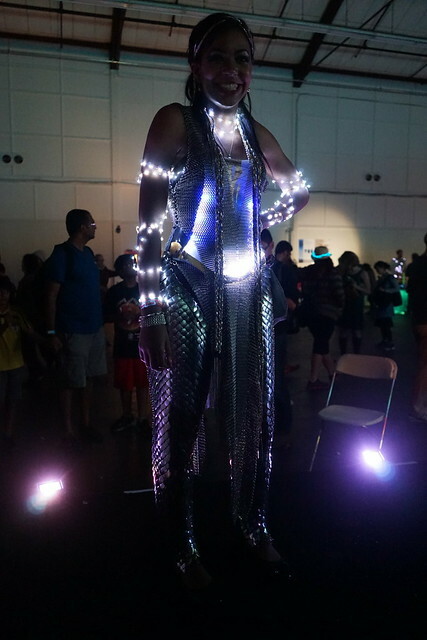 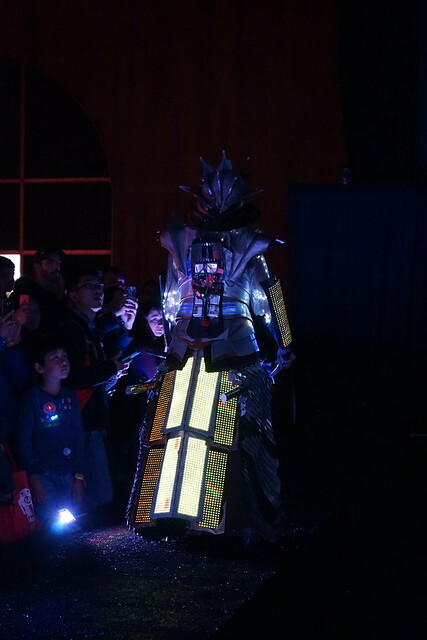 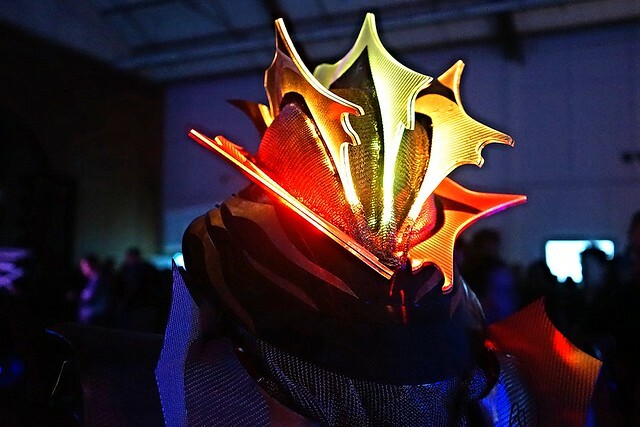 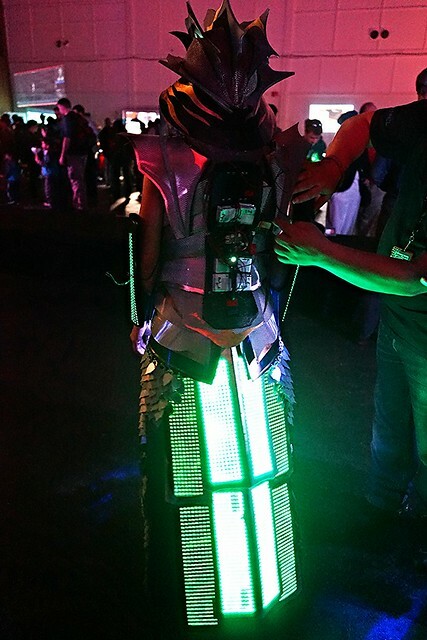 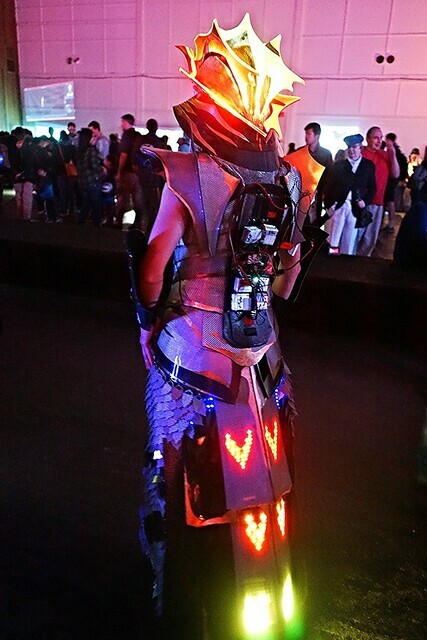 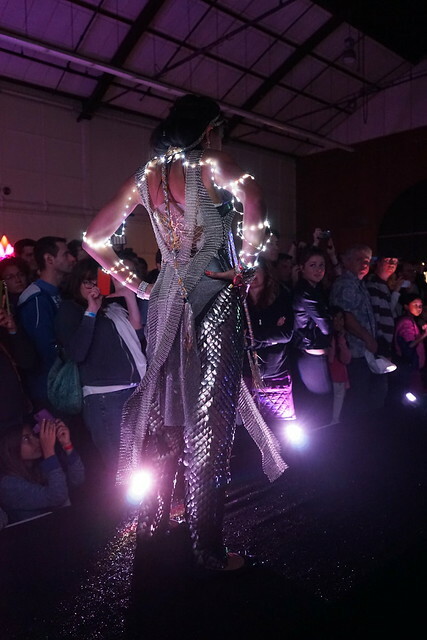 This costume is using 3,500 LEDs. 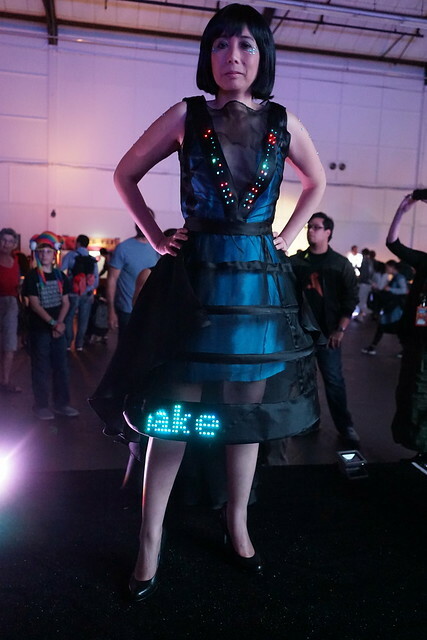 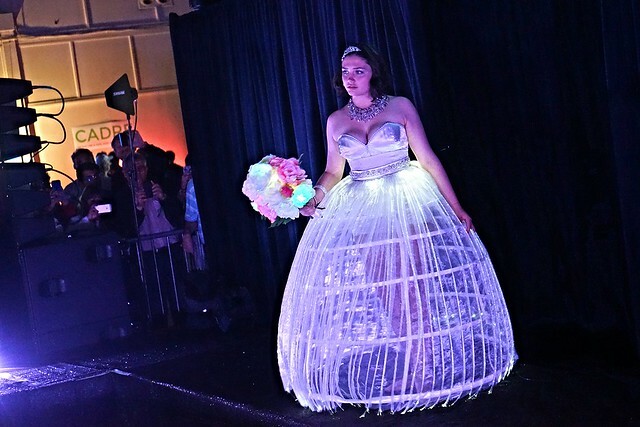 The audience can tweet something, and that will show up on her dress. 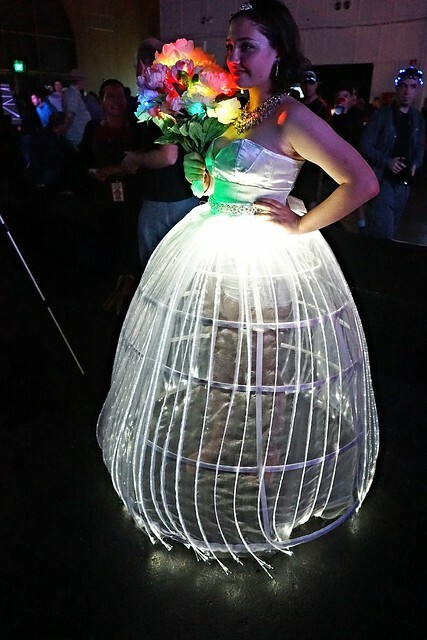 This costume is made of wood. 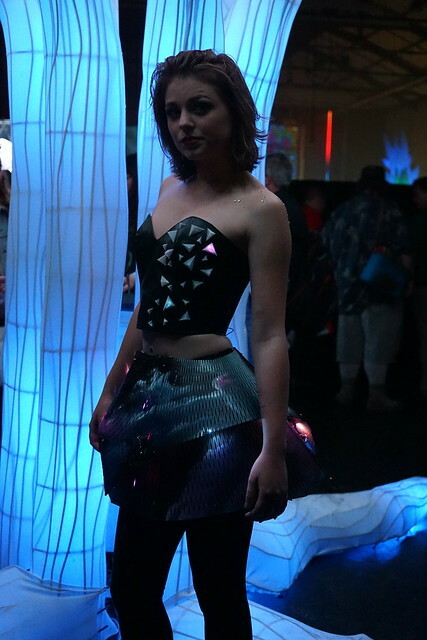 This costume shows the patterns using weather data. 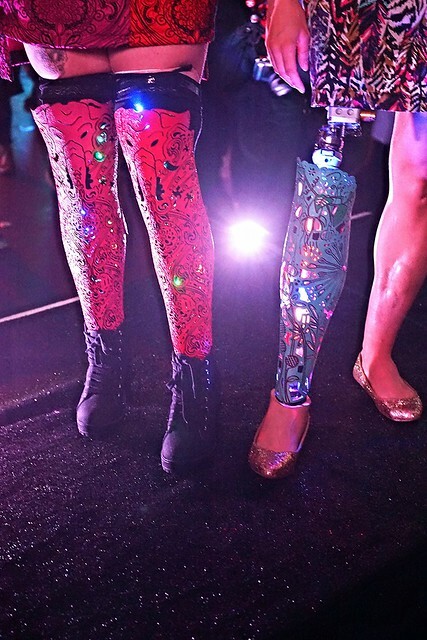 They talked about prosthetic legs here as well.